Julia wanted something new (but not too new) and she didn’t want to spent more than 5 minutes a day on her hair. Christopher Hopkins helped her discover her natural wave and how to work with it. 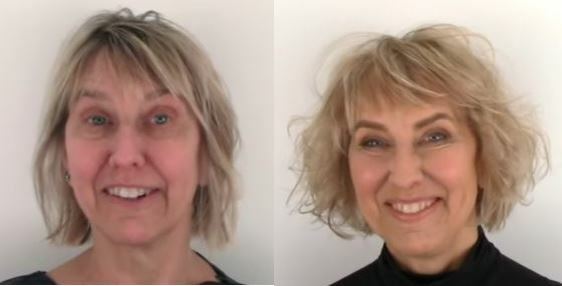 A beige blonde color, and natural makeup that brought out her eyes, makes quite the transformation.